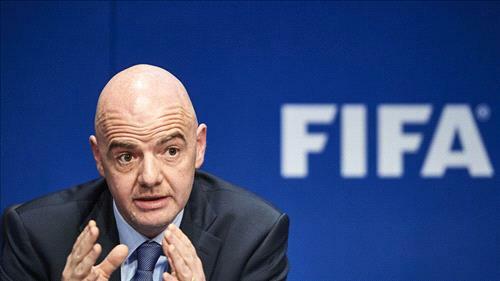 AMMONNEWS - Several members of FIFA’s ruling council have called on the football body’s ethics committee to demand the evidence behind allegations that the Qatar 2022 World Cup bid ran a secret campaign to sabotage their rivals for the tournament. Despite FIFA’s council lacking formal powers to launch an inquiry into the claims, however the development is fueling growing anger over the scandals that shook FIFA at a time when it is striving to polish its image. The Telegraph said it contacted several members of FIFA’s ruling council for comment on The Sunday Times story. Several said FIFA’s governing body or its ethics committee should ask to see evidence of the newspaper’s claims, amid calls in Westminster for an “independent investigation” into the claims. Sunday, Senior British Member of Parliament and Head of the Commons digital, culture, media and sport select committee Damian Collins called for a “proper investigation” into the Qatari World Cup 2022 bid on Sunday, following a report by The Sunday Times showing evidence of the country paying firms and individuals to carry out a propaganda campaign against its bid rivals. Collins told Sky News that it would be a “serious matter” if the allegations turned out to be true. Also, Lord Triesman, former chairman of the Football Association and England bid chairman, urged Fifa to "look at the evidence thoroughly", and said Qatar should not be allowed to "hold on to the World Cup" if they were shown to have broken Fifa rules. He said "I think it would not be wrong for Fifa to reconsider England in those circumstances ... We have the capabilities."